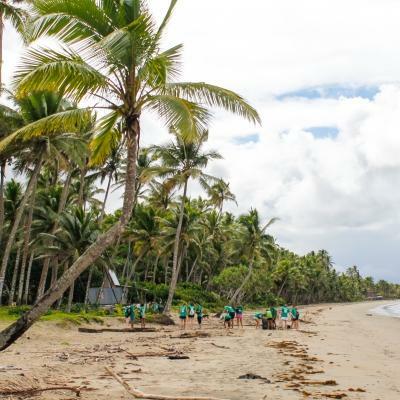 Travel to the South Pacific and volunteer as a rugby coach on the island nation of Samoa. This is a wonderful opportunity to help children develop their rugby skills, and encourage them to exercise and have fun. At the same time, you’ll gain practical rugby coaching experience and learn from local coaches. Samoa is a passionate rugby-playing nation. However, children from disadvantaged communities don’t have the opportunity to play. Access to coaching and equipment is limited. In addition, obesity is a growing problem in Samoa. This is why we need the help of volunteers like you. You’ll work with our partner organisations and use rugby to promote exercise and a healthy lifestyle. 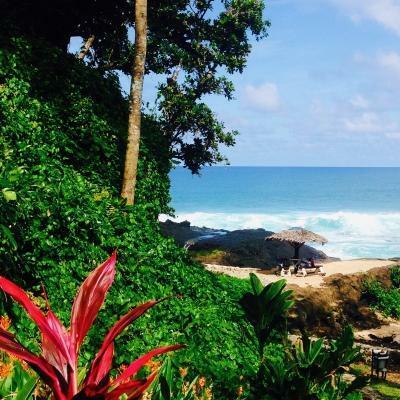 You’ll be based in Apia, the biggest city in Samoa, and stay with a local host family. During your free time and over weekends, you can explore beautiful tropical beaches, go snorkelling, and more. Is volunteering as a rugby coach in Samoa right for me? Do you love rugby? Are you passionate about fitness? Would you like to use your love for the game to encourage children to have fun with exercise? This project is the perfect opportunity to inspire youth through sport, and talk about the importance of living a healthy lifestyle. At the same time, you’ll get rugby coaching work experience and learn about the local style of play from local coaches. This is a great opportunity to strengthen your CV and expand your knowledge of the sport. You can also talk about what you learned at the project on applications and in interviews. You don’t need any experience or coaching qualification to take part. You’ll have the support of local coaches, and you can reach out to our staff at any time. This project runs throughout the year, and you can join at any time from a minimum of two weeks. We encourage you to stay longer so you can have a bigger impact on the children you work with. What will I do on the Rugby Project in Samoa? 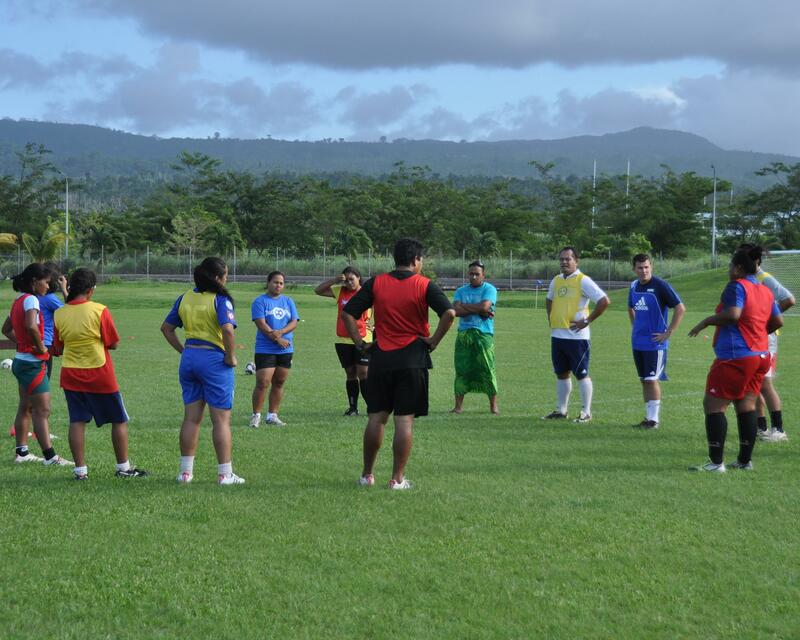 In the afternoons, you’ll assist local rugby coaches at the Rugby Academy of Samoa (RAS). You’ll work with local youth teams to develop their skills with the game. You’ll also be involved with providing education in healthy living and nutrition. You could also be asked to teach basic English classes to the players. Many of the children you’ll work with only have a basic understanding of the language. English is an important skill in today’s world, and can help open doors for them in the future. It’s also critical if they hope to play rugby professionally one day. GiR is a local organisation that uses rugby as a platform to contribute to social development. They hope to increase participation in rugby union and give underprivileged children the opportunity to pursue careers in rugby. This will in turn help develop the pool of talent for the national rugby unions in Samoa. 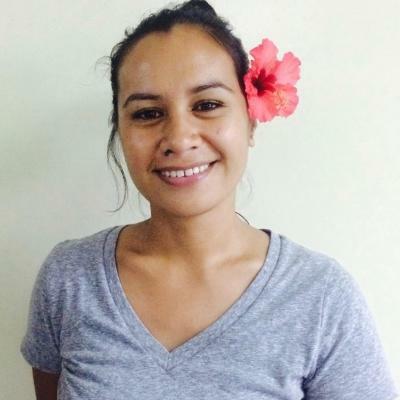 RAS was started in 2012 by former Manu Samoa national rugby team captain, Mohonri Schwalger. It works with young rugby players between the ages of 14-21, and strives to provide them with the necessary tools to maximise their opportunities. RAS run weekly rugby clinics, and also help educate the players to improve their chances of accessing higher and tertiary education. Quick Rip is a rugby programme implemented by the Samoan Rugby Union across schools and clubs around the country. It is a non-contact adaptation of the sport. Players wear tags that can be ripped off by opposition players instead of tackling them. This is a safer option for for very young players. If you volunteer as a rugby coach in Samoa, you’ll work in Apia, the capital and biggest city in the Samoan islands. Apia is located on the central north coast of Upolu, the second largest island of the country. 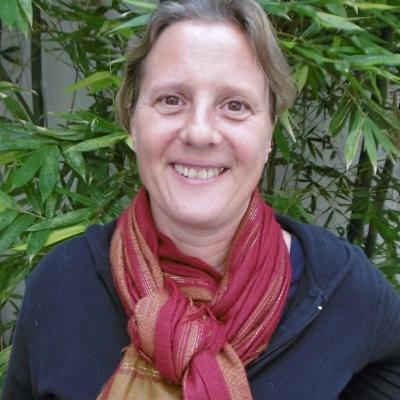 You will work at various primary schools in and around Apia. 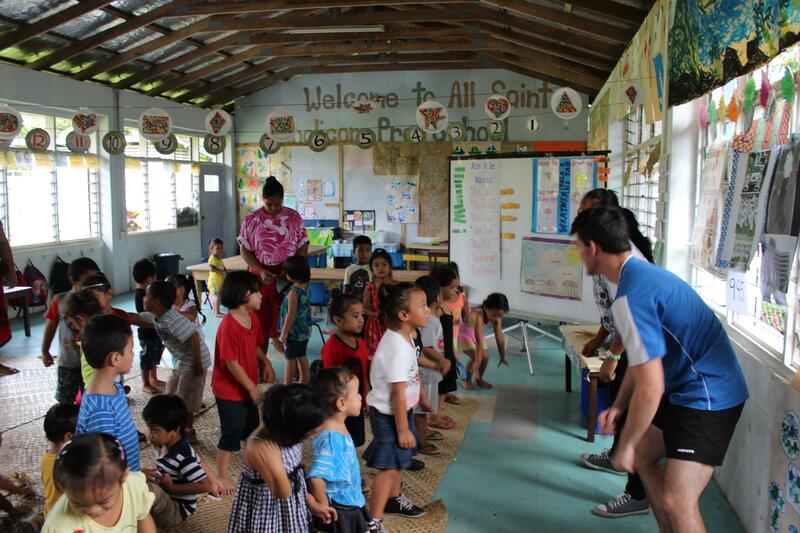 Many schools in Samoa have limited resources like sporting facilities, equipment, and are often understaffed. You’ll be transported by minibus between the schools. Projects Abroad organises and covers the cost of this transport. 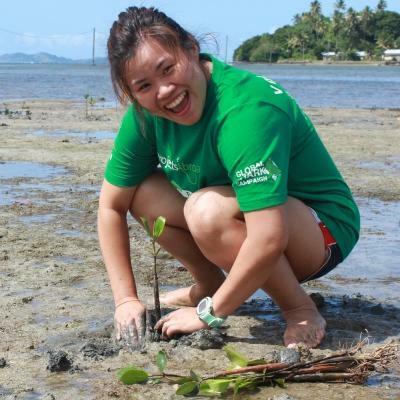 What will a typical day on the Rugby Project in Samoa look like? You will work Monday to Friday, and your schedule varies depending on which organisation you’re working with. You’ll be transported by minibus between the schools. Projects Abroad organises and covers the cost of this transport. On your first day, we’ll accompany you to your placement to show you how it works. You’ll get picked up from your host family by the local Quick Rip team at 8am. Coaching begins at a local school at 9am. You’ll have a lunch break at midday, and continue coaching at 1pm. Your day will end at 3pm, and you’ll return to your host family. After getting picked up, you’ll start coaching at around 8am. You’ll visit between two and three schools each day, and spend at least an hour at each one. Your work with Get into Rugby will finish around 2pm. 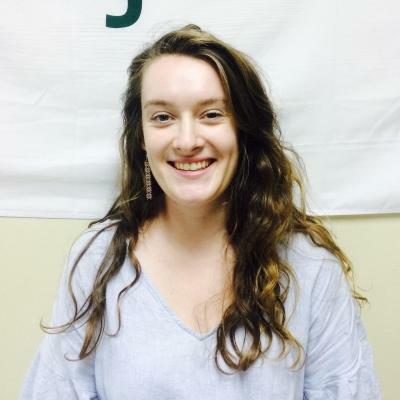 On Tuesday, Wednesday, and Thursday afternoons, you work with the academy at a single location. You will work at a rugby clinic from about 4:30pm to about 6:30pm. During your free time, we encourage you to explore! You could join some locals for a game of kirikiti, the local version of cricket. Or, you can visit one of the many festivals celebrating everything from fire dancing, to traditional Samoan tattoos. 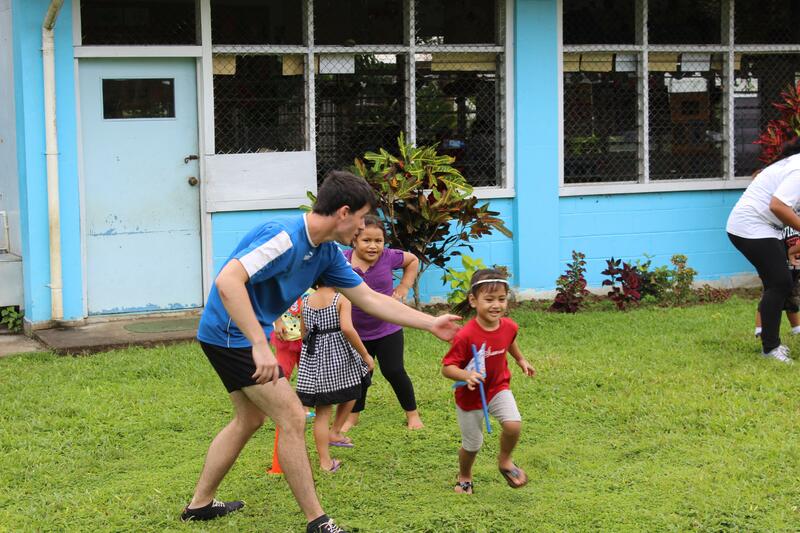 The main aim of this project is to develop rugby talent among disadvantaged children in Samoa. We also encourage children to exercise regularly and teach them about the benefits of a healthy lifestyle. Samoa is a proud rugby playing nation. However, many schools lack the resources to develop students’ skills. Health problems like diabetes, obesity, and other non-communicable diseases are also on the rise in Samoa. These diseases are caused by unhealthy diets and inadequate exercise. This is why we have partnered with local organisations to bring rugby coaching to these schools. 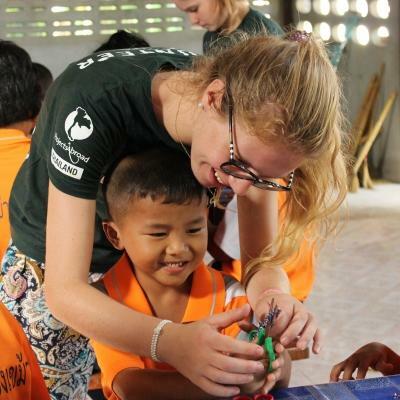 To give our partners the support they need, we need the help of volunteers like you. You’ll focus on assisting local coaches, and sharing knowledge about the importance of healthy lifestyles with children. 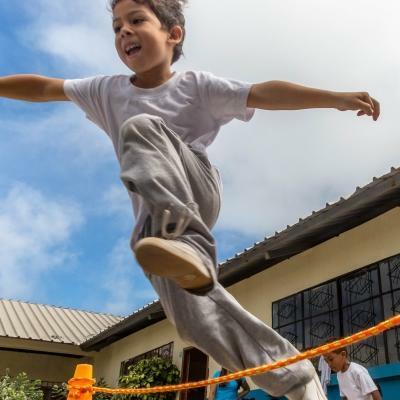 We hope that our ongoing efforts here will help more children pursue sport as a career, and foster more awareness about wellness in local communities. This project also helps you learn about sport in another country. This experience will give you valuable skills in coaching, leadership, and organisation. Join us in Samoa to raise future rugby stars and inspire others to live healthy, active lives.